Bug Out Location: Where are you most likely to be should you need to bug out? It’s an important question, because it’s a big part of determining your bug out plan and survival strategy. A lot depends on the type of disaster, survival means avoiding it, not running into it. 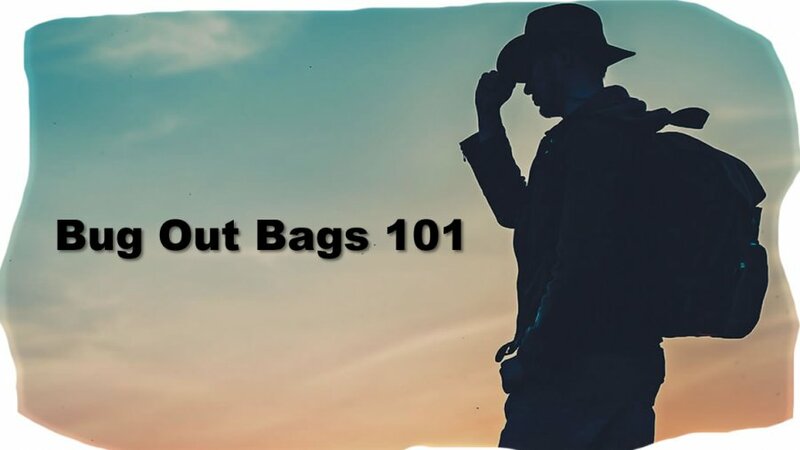 Your bug out location could also influence what kind of bug out bag you maintain (and how many). Here are some points to consider. How much warning will you have? It doesn’t matter where you start if the disaster strikes too quickly to do anything about it. However, assuming there is time to react; it may be crucial for survival to have already worked out your bug out location in your bug out plan, in your head at least, about what to do in various kinds of disasters. For example, where is your bug out bag? It should be in close proximity to your bug out location. A bug out bag doesn’t do you any good if you’re at work and it’s twenty miles away at home, or it’s at work when you’re at home. Does that mean you should have two bug out bags, or maybe your bug out plan should be to just keep one in the car? Good question. In a similar line of thought, what’s the difference between how you react to a disaster that’s already happened, say an earthquake, which usually strikes without any specific warning, and a disaster that’s predicted, such as a hurricane two or three days out? The big difference is that with a predicted disaster, it’s quite likely your biggest problem in your bug out plan and reaching your bug out location. Simply because there will be other people trying to do pretty much what you’re trying to do – get away to safety. Clogged emergency routes could be one example. With a disaster that’s already happened, the problem is more likely to be physical damage – roads blocked, buildings destroyed, services down, possibly personal injury. Where you are, your physical location, in relation to a disaster event is a very important part of your bug out plan because it dictates where and how you reach your bug out location. It includes where you are starting, where you intend to go, and how you are planning to get there. That’s assuming by “bugging out” you’re actually getting out of Dodge to a pre-planned bug out location. There are plenty of situations where staying put might be the best survival strategy, in which case, your bug out bag really needs to be a sophisticated and easily portable emergency kit. For example, in a hurricane, while high winds can do a lot of damage, they’re not what cause most of the fatalities. It’s high water, ocean storm surge or rain-caused flooding, that are the big killers. That means if you’re located in any kind of flood plain, coastal or inland, bugging out is usually the best way to go. However, if you’re on relatively high ground and not in a flood plain, then staying put and not fighting the chaos of traffic and weather related accidents might be the best approach for your bug out plan and bug out location. It’s good to keep in mind that almost all Ultimate bug out Bags are equipped with water filtration systems, first aid kits, and emergencies rations. These are helpful and perhaps essential if you ride out a disaster in your original location. One of the things people sometimes forget in their bug out plan is that most disasters take out general utilities – water, power and communications – sometimes in a large area. Survival, even in an urban setting, might mean having the ability to purify water or treat injuries, among other things. Of course, the main reason for a bug out bag is…to bug out to a pre-planned bug out location…assuming that movement is possible. The difficulty of starting out in a disaster situation is one obvious reason for a bug out plan. It’s one thing to grab a BOB and head out the door. It’s another to avoid difficulties, or worse, head directly into more trouble. Put another way, it’s obviously part of survival to get out of potentially fatal situations, and many of those situations have to do with where you are relative to the disaster, especially one that is already happening. For example, floods and dirty bomb explosions are, in a sense, limited in scope and direction. Floods follow land contours, valleys and such; it’s usually not difficult to figure out which direction to go to avoid a flooded area. Likewise, a dirty bomb will probably have a small initial explosion, with a cloud of radioactivity that (hopefully) is dispersed by a prevailing wind. Your bug out plan for a bug out location should be to head away from that wind direction, and you’re more likely to stay out of the cloud. For some locations and disaster events, getting out of dodge is anything but a given. It doesn’t take much imagination to understand that starting in an urban environment – any big city – can complicate bugging out. Violent disasters such as bomb explosions, earthquakes, and hurricanes can produce debris, immobilized vehicles, and disrupted pavement blocking even wide city streets, and because of the buildings, ‘drive-arounds’ are often not possible. Even if movement is possible, then there’s always the threat of traffic snarling your getaway to your bug out location, especially in a panic situation. Your bug out plan needs to anticipate these problems, have alternate routes, and be prepared to abandon moving by vehicle or public transport. Leaving town on foot may be the only way to get to your bug out location, which comes back to the bug out bag. If you have to go on foot very far at all, then a backpack bug out bag is almost a necessity. In normal times, say waking up in the morning, you can turn on the radio a get a road report. It can tell you where traffic is heavy or backed up, so you can avoid the bottlenecks. Don’t count on that kind of information in a disaster situation, and even if there is information, don’t count on being timely or accurate. In some situations, you may not even know where the disaster will (or has) occurred. This means, when it comes to bugging out, your bug out plan should be to find your own way out to a bug out location. Know your terrain, which in most cases means having maps, better yet personal knowledge, and have thought about the route(s) you’d take in certain kinds of disaster events. Have alternatives. In general, your bug out plan starts with your bug out location; what types of disaster events are most likely? Where is your bug out bag, can you get to it immediately regardless of your location and the type of disaster? How does your location relative to a disaster affect your bugging out? Do you have an escape bug out plan for various types of disasters – with alternatives? Answer these questions and you’re well on your way to having a bug out profile.